There are many ways to help reduce the pain and inflammation that you are experiencing as a result of your plantar fasciitis. Here at Parker Foot + Ankle we believe in treating the condition from every possible angle. There are several over the counter products that we recommend to our patients. All of these products may be purchased in our office and Dr. Parker will dispense the appropriate treatment options for you. If you have any questions about your condition, the products, or your treatment please call our office so that our staff can explain everything to you. Biofreeze is a topical analgesic that is applied to the skin. Biofreeze contains menthol and will give you the same cold feeling as icing while allowing you to remain active. 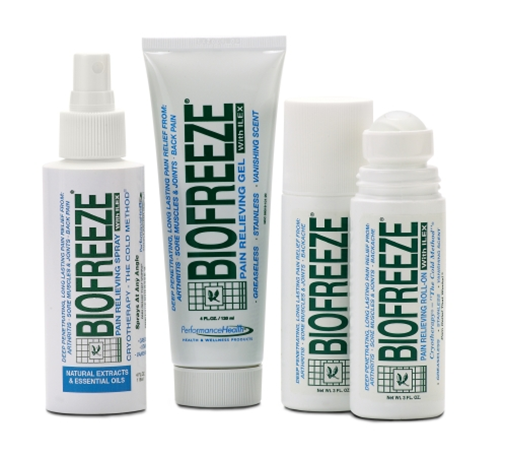 Biofreeze may be rubbed in or rolled on up to 4 times per day and may be applied directly to the painful area. Please use extra care when using this product that you do not touch your eyes. If you are using the massage gel wash your hands thoroughly with soap and warm water immediately after use to prevent accidentally getting it in your eyes. 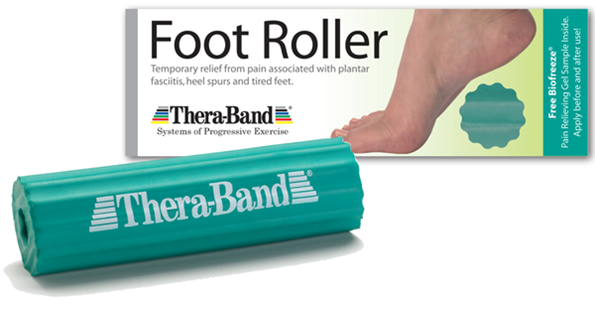 The Theraband Foot Roller is just the right combination of firm and cushioned to provide the right amount of pressure on your fascia as your roll your foot across it. It also has ribs to increase the benefit of the massage. This is great when used in conjunction with the biofreeze. The foot roller may also be placed in the freezer and will stay cold for about 10 minutes. You may be dispensed a pair of medical grade OTC shoe inserts called Powersteps. These are used as a temporary solution while you are waiting for custom made orthotics. They will help support your fascia and give your arch the support that it needs. They also help your foot from pronating or supinating (rolling in and out). These are not a permanent fix, but may be used short term. They lose their effectiveness after about 9 months. Icy Feet are the most ingenious product that we have seen in a long time born out of necessity. The inventor was suffering from the pain of Plantar Fasciits and was not getting relief from any of the traditional icing methods (ice packs, frozen water bottles, bag of peas). He went to his freezer and saw his daughters lunchbox ice pack and thought, let’s try that! Born from that was Icy Feet—a foot shaped, high arched cold pack that will contour to your foot for maximum effectiveness. 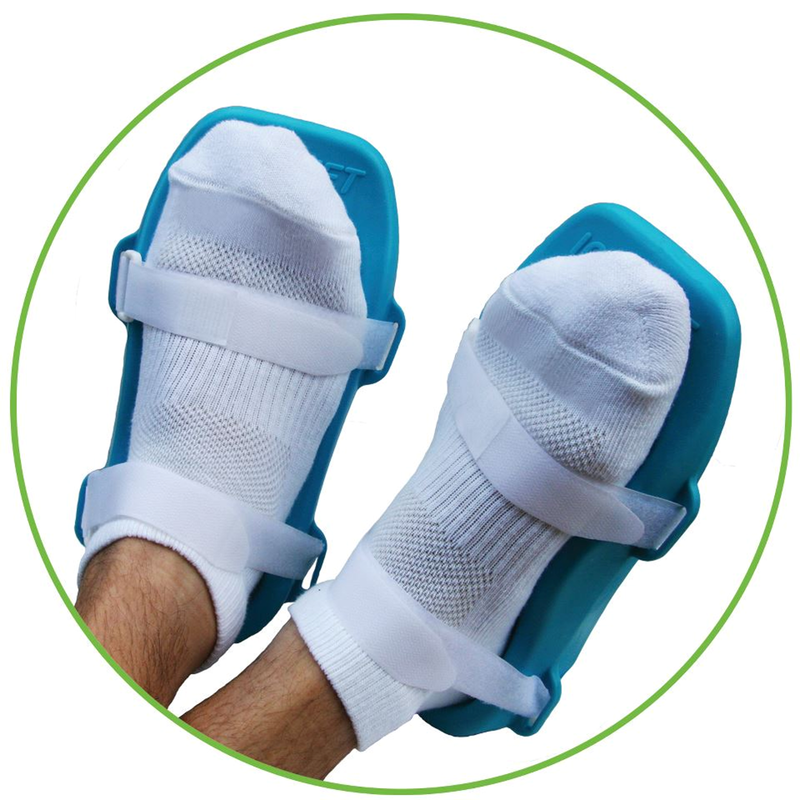 You are able to strap these to your feet with adjustable Velcro straps so that you may lay in bed or recline in a chair while icing. They will stay frozen for about 20 minutes and the cold penetrates so deep that you will feel the residual cold for much longer. This is truly revolutionary in the ease of icing! You may use these as often as you would like.